The following is a guest post from Alexis Houssou & Barbara Belvisi, co-founders of Elephants&Ventures, a venture boutique helping hardware startups with financing & strategy. You can follow them on twitter at @alexishoussou and @b_belvisi. If there was such a thing as a hardware startup checklist, no doubt the “pre-order launch” box would feature prominently in that (long) list. Soon after the prototyping phase is over, most hardware founders start making plans on how to launch a pre-order campaign on Kickstarter, Indiegogo or directly via their website (i.e. Selfstarter). On one side, a successful crowdfunding campaign is a golden fast pass to (1) a worldwide press coverage (2) a global network of distributors and (3) an open access to VC funding. On the other side, a pre-order “flop” is often carried as a burden for a while undermining potential discussions with investors, distributors, etc… That said, it doesn’t mean that you can not get over it. The Coolest Cooler is an almost ridiculous counter example of how you can fail at reaching your funding goal and become the most funded Kickstarter project ever 6 months later. The Coolest Cooler actually represents in many ways a case study: how on earth can the same product that attracted less than 300 backers in December gather more than 60,000 in August? Well…OK, it’s probably easier to sell a cooler when it’s hot outside. But set aside the timing and probably a better communication – what if there was a secret sauce to reach $1M+? As foolish as it may sound, we decided to seriously look at successful Kickstarter campaigns to see if we could find that magical element. The result? Certainly not a magical recipe giving a single explanation to every success. The main reason why projects succeed on Kickstarter is (1) a great products solving customer pains (2) their capacity to engage a large and engaged community. But success is the sum of details and there are small details that are widely shared among Kickstarter supernovas. These details have led us to release a presentation about “10 figures you need to know before launching a Kickstarter”. #1. Tuesday & Wednesday are the best days to launch. 64% of our sample launched on those 2 days. Only 2 startups among the 79 we picked, succeeded their campaign launching on a Sunday: LIFx and Hexo+. For Hexo+, launching on Sunday has been a clever choice especially as Airdog, – a direct competitor – was also launching on Kickstarter the day after. #2. The average campaign duration is 38 days. 67% of successful campaigns lasted between 30 and 40 days. Campaigns that lasted less than a month represent only 3% of the sample – among them, Future Motion Onewheel whose campaign ran only 21 days during which they managed to raise $631k. #3. The average video duration is 3min45s. 62% of our sample have a video that last between 2min and 4min. What backers want to see in a video is a solution to a problem they have, a beautiful prototype and be able to imagine themselves using the product. There are some notable exceptions: Next Generation LiveCode with a 1min12sec video and no one speaking managed to raise $750k. On the other side, Neil Young’s Pono Music video lasts more than 11min pushing the whole concept of social proof to its limits with an impressive list of interviews with Grammy award winners. #4. The median unit price per product is $189. 27% of our sample had a unit price under $100 and 47% a price between $101 and $300. 74% of our sample had a unit price below $300. Only 7 startups had a price per product above $1,000 (mostly 3D printers). #5. Median funding goal is $100,000. More than 60% of our sample had a goal under $100k. Only 2 projects with a target goal of 1M$ managed to succeed their campaign: Reading Rainbow (an app for young children who cannot read) and Arkyd (a space telescope). #6. The average time to reach the goal is 3 days among our sample. Over 80% reached their goal in three days or less. 38% even reach it on day 1. 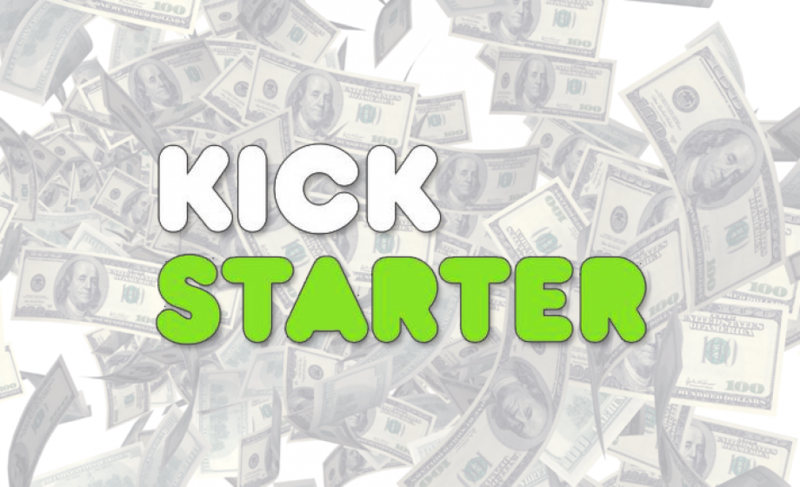 So early momentum is key to make it to Kickstarter popular page and create even more traction. #7. The first three days represent on average 28% of total amount raised. As pointed out previously, the first days do matter. It gives you a good idea of how your campaign is going and how it will end. The most impressive start was 3Doodler that raised 61% of the total amount during the first three days of their 34-day campaign. #8. First week and last week represent 66% of the total amount raised (on a 5 week normalized basis). If the first days matter, so do the last. Do not neglect the communication push at the end of your campaign. Biolite, the base-camp stove that turn fire into electricity raised more than 45% of its total amount during the last week of its campaign. #9. The average shipping delay is 7 months and 96% of successful Kickstarter projects delayed their shipping. For more than 20% of our sample, the delay was above 10 months. Only 2 startups that raised $500k+ in our sample managed to ship on time: 3Doodler, a 3D-printing pen, and MicroView, a chip-sized Arduino. It took Pebble a year to be able to ship their watches. Galileo even shipped with a 20-month delay. #10. Raising VC funding after Kickstarter? 51% of projects that raised more than $1M managed to do so. A successful Kickstarter campaign is definitely a fast pass to VC funding: Ouya, Oculus, Smarthings, Lifx, Avegant Glyph and 13 others startups announced VC funding a few months after they succeeded their Kickstarter campaign. But if you look at projects which raised between $500K and $1M, the percentage of startups that raised VC funding goes down to 20%. VCs are definitely picky. Sorry to sound like I’m splitting hairs, but there are actually quite a few problems with those statistics. The most striking point to me is that they don’t compare successful projects with all the projects (successful and unsuccessful), so you can’t see any correlation between whatever is measured with success. For instance, #1: Great but as far as I can tell it could be that all the campaigns launch just as often on tuesdays and wednesdays, or (even worse) that unsuccessful campaigns launch even more often on these days… In the latter case, success would actually be negatively correlated with launching on tuesdays and wednesdays!